Everyone has projects, goals, and dreams they want to work on. But all too often, cash flow puts these plans on hold. There always seems to be a new bill or debt to pay off before we can start on the things we’ve always imagined. It doesn’t have to be that way. Auto loans are a great way to quickly get the cash you need, so you can begin work on previously-set plans. The fact is, your vehicle is worth more than you might think. In this article, you’ll learn how Auto Pawn can help you achieve goals that are important to you. Credit card interest can be crippling, especially when they change rates on you with little or no notice. In addition, every month there’s a new set of bills to pay, plus added expenses for entertainment, vacations, and unexpected events. When it seems like you’ll never get out of debt, it’s comforting to know that there’s a solution to the problem. Vehicle loans are based on the value of your vehicle rather than your credit history or other factors. That means you can quickly get a loan and be on your way toward financial freedom in no time. We’ve dealt with all types of vehicles, from cars, trucks, motorcycles, boats, and more. We’re able to offer up to $100,000 for working vehicles with a title in your name. If you’ve ever investigated starting a business, you know that there are many fees involved. 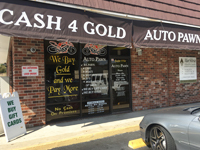 A vehicle loan from Auto Pawn is a great way to get the cash you need without going into debt or otherwise making unsafe or unwise financial decisions. These loans don’t rely on your credit history. The value of your vehicle is the main consideration. That means if you’re applying for other loans or making purchases on credit, you can rest assured that those actions won’t affect your ability to get a quality vehicle loan. So long as you have a vehicle in good working order with a title in your name, you could get cash back in no time. The one sure thing about life is that you must always be prepared for the unexpected. Many times, the need for fast cash can become stressful and overwhelming. 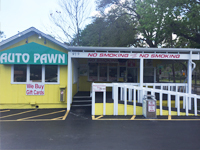 For years, Auto Pawn has been helping Volusia County residents get the funds they need in a timely manner. There are many scenarios when you need quick funds. It’s comforting to know that you could be driving around in the answer to your problems right now. 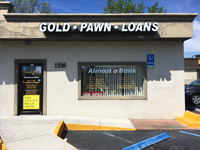 The first step to getting a loan is to bring your vehicle into one of our three convenient Volusia County locations. When you furnish a vehicle in good working order with a title in your name, a qualified and knowledgeable team member will assess the value of your vehicle, and work with you on mutually-agreeable loan terms. Best of all, the application/approval process is quick and easy. Feel free to contact us at any time with any questions or concerns you may have about the auto loan process. Better yet, stop by one of our locations today to get started.